Located in Broward County, to drive there, take I95 to Hillsboro Blvd, go South on Hillsboro Blvd, on the West side of Hillsboro Mile, facing the ocean. Built in 1984, this boutique building only has 7 stories with 65 condominiums with private beach access. Condos usually include 2 garage parking spaces. 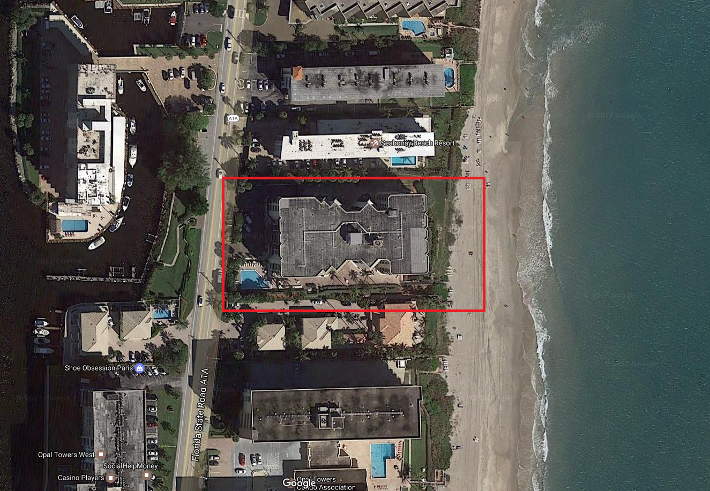 Doorman Attended Lobby and Direct Access to Miles of Expansive Sandy Beaches. Inviting Social Room. Business Center. Heated Pool. Gym. Billiard Room. Bike Storage. BBQ. 2 Pets allowed <18 Lbs. Short Drive to Shops, dining. Dockage when available. Learn more about what makes Hillsboro Ocean Club an exceptional place to live, or browse through some of our listings below. Contact us today to make Hillsboro Ocean Club condos your new home!